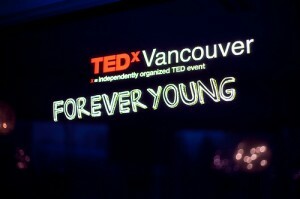 TEDxVancouver was simply an amazing event. The people and the lust for inspiration alone was something to behold, but of course the talks were of the spotlight that day. While all the speakers were breathtaking and I’m sure there are a lot of other sites out there that can give you a play by play I thought I would share what I took away from this day. 3. Ask yourself, who am I that causes the eyes of the people around me not to shine? 5. The search for extra-terresterial life has gone unfruitful probably because any advanced civilization who came before us encountered the same problem as us. They destroyed their home and did not survive. 6. The world will not change and neither can you save it by typing on Twitter. Get off social media and commit to the message instead of just relaying it. 7. Framing a discussion for your target audience is key to convincing the business world to act on global climate change. 8. Having wind and land based solar energy options may not be enough to eradicate coal burning plants because they cannot provide base-load power. Nuclear may be a viable option. 9. Our fight or flight response causes rigidity and inflexibility. Learning to cope with the problem and find conflict resolution, no matter what that may be, is key to our evolution. 10. Respect the baby boomers, understand that they used to exist in a world where it was not “their oyster.” Today Gen Y’s and X’s are told to conquer, boomers were told to work hard, save, squander, and die. 11. Calorie restriction not only ties into longevity but also the environment. 12. Anxiety has a negative impact on our creative centres but is very useful for making us focus and to get a job done. 13. A lot of people in this world believe that we are our ethnicity, regardless of who we are. We wear our skin colour like a badge. 16. Context is king, LIVE your message.